We would like to get mortgage protection but I have been dealing with abnormal smears for a while. I’ve been four years under hospital care scheme having check-ups. Last smear abnormal again. So do I wait for my next smear test result in 3 months or is it worth trying now? I fully expected the insurers to postpone Ruth. So it was a nice surprise to get her immediate cover at the normal price. She was so happy as she could go ahead with the purchase of her new home with her partner. Some life insurance companies will postpone offering cover until you have a normal smear. In Ruth’s case above, she had a CIN III, fours years ago followed by another smear which was normal. Since then she had a low-grade CIN. My underwriter took the view that Ruth was low of risk. She was undergoing regular pap smears and the most recent CIN was low-grade. Because of these factors, she got the normal price without having to wait for a normal smear. 5 of the 6 insurers would not offer her cover. So you can see how important it is to choose the most sympathetic life insurer for abnormal smears. All the other insurers we approached would have postponed Ruth. 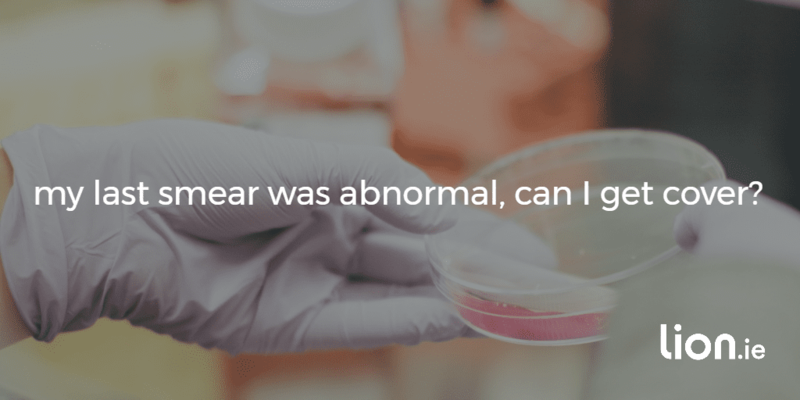 Can I get serious illness cover with an abnormal smear? Again it depends on the life insurance company. I managed to serious illness cover for a client* who had an abnormal smear last year and hadn’t had a normal smear since. But the insurer added an exclusion for cancer of the cervix or uterus to her policy. In this case, the client had a strong supporting letter from her consultant. Usually, the insurer requires a normal smear before it can offer serious illness cover. *Update: Since getting cover with the exclusion, my client had a normal smear. Because of this, her insurer was happy to remove the exclusion. She is delighted! What about income protection if you waiting for a repeat smear? 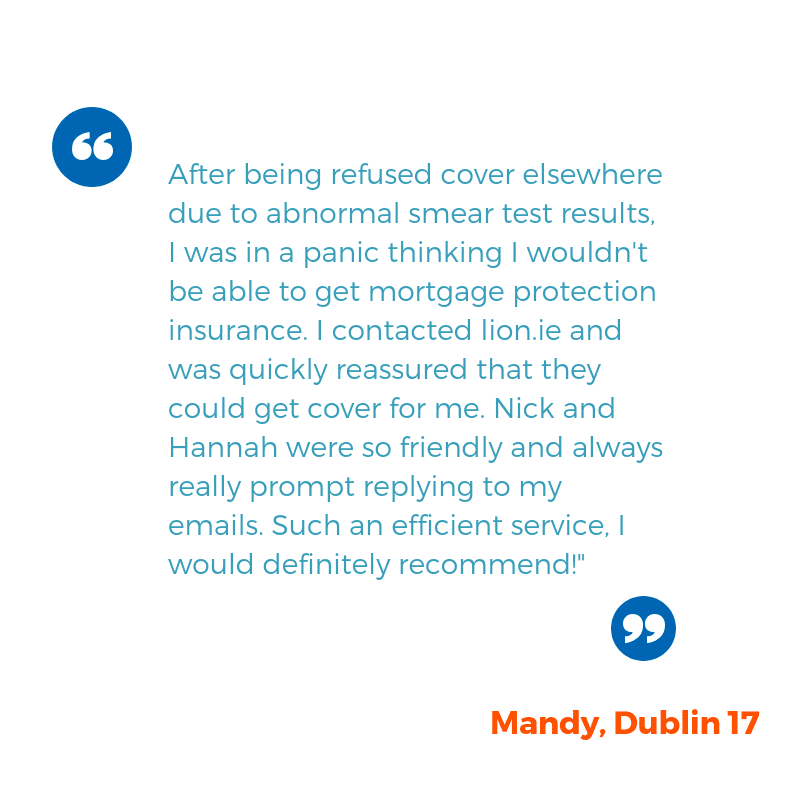 With CIN 1, where the clinic is actively monitoring – i.e with a follow-up smear – you can get income protection at the normal price without any exclusions. Can you get mortgage life insurance if you’re waiting for a colposcopy? The colposcopy will confirm whether abnormal cells are present, the grade of those cells (CIN 1, 2 or 3) and determine whether you will need treatment to remove them. Until the results are available, the insurers will postpone any application for life cover. For a CIN1 and CIN2, life cover will be possible without the need for a follow up normal smear. For a CIN3 one of our insurers can consider cover before the follow-up smear if they have confirmation that the CIN lesion/cells were completely excised and there was no invasion. What medical information do you need when applying for life insurance after an abnormal smear? A well answered gynaecological questionnaire can be enough. But in some cases, the insurer will write to your GP for a report. Lisa was scheduled for LLETZ treatment as a result of CIN2 in 2 weeks time. But she needed mortgage protection in place within 3 weeks to drawdown her mortgage. She was unable to schedule a repeat smear test in the next 3 weeks. Insurer 1: For a CIN2 we would need a normal follow up smear test. Insurer 2: For life cover only we can offer cover once there is confirmation of no invasion following the treatment. Insurer 3: To consider cover we would need a copy of report following her LLETZ treatment & if this confirmed that it was completely excised & confirmation of no invasion we could offer cover. Insurer 4: We would need a normal follow up smear. Insurer 5: Client will have needed a normal follow up smear, after her treatment, for us to consider. Insurer 6: We can offer cover as long as the report following the LLETZ confirms that it was completely removed and no invasion. Half of the insurers couldn’t offer cover until the follow-up smear, this proves how important it is to use a broker who deals with all 6 insurers. Remember your bank can only use one insurer, usually Irish Life. How much will your life insurance cost if you have an abnormal smear? If I can get you covered, it should be at the normal price. Are you stressed out because you’re waiting for a follow-up smear and worried about how it will affect your life insurance or mortgage protection application? Don’t worry, let me help. Please complete this questionnaire or call me on 05793 20836 and I’ll take care of it for you. 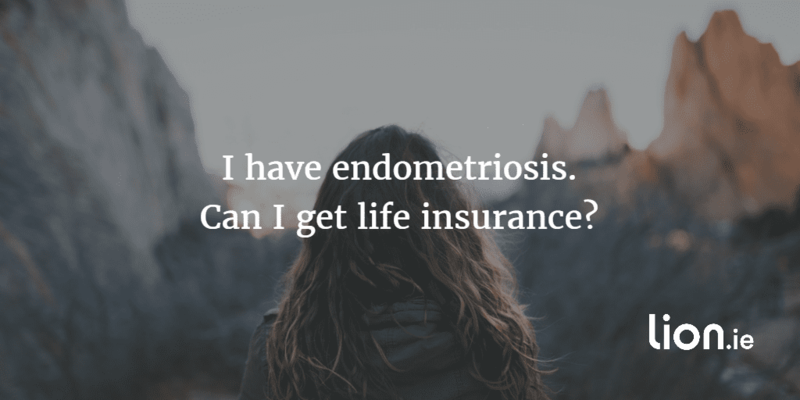 Anxious that your endometriosis will stop you getting life insurance? We've arranged countless policies for our clients with endometriosis.